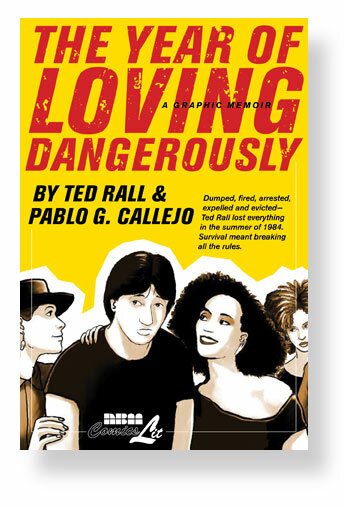 First, let’s point you to a fun interview on Smith Magazine’s site with Ted Rall on his recent Year of Loving Dangerously. “a marvel to behold. Callejo is surely an artist to watch and this book specifically demonstrates how versatile an artist he is. How easy it would have been for Callejo, like so many other comic book artists, to make all of the women Ted sleeps with pictorial copies of each other. The fact that there were so many characters, and I never confused any of them and I always recognized the recurring ones, is a great artistic accomplishment.